Recently I booked a ticket on a plane and was vexed to find out later that I couldn’t reserve a seat, check in online or even bring a suitcase onto the plane. Well, I could do those things. But only if I paid extra for them. The airline, United, was dead serious about enforcing it, too. When I got on the flight and tried to put my coat and a small pack into an overhead bin, the flight attendant stopped me. It turns out “Basic Economy” is the bottom rung of a sort of passenger caste ladder. The airline also has regular old Economy, Economy Plus and, because the possible modifiers for the word economy were apparently exhausted, Premium Plus. Don’t want to drape that coat on your lap for our four-and-half-hour flight to Cincinnati? For 39 bucks you can upgrade your coat to an overhead bin! I bring all this up because the day after I got back, the news broke that Boeing is doing to the airlines exactly what the airlines are doing to us. Except Boeing isn’t upselling something trivial like overhead bins. “Doomed jets lacked two key safety features that Boeing sold only as extras,” read The New York Times headline. 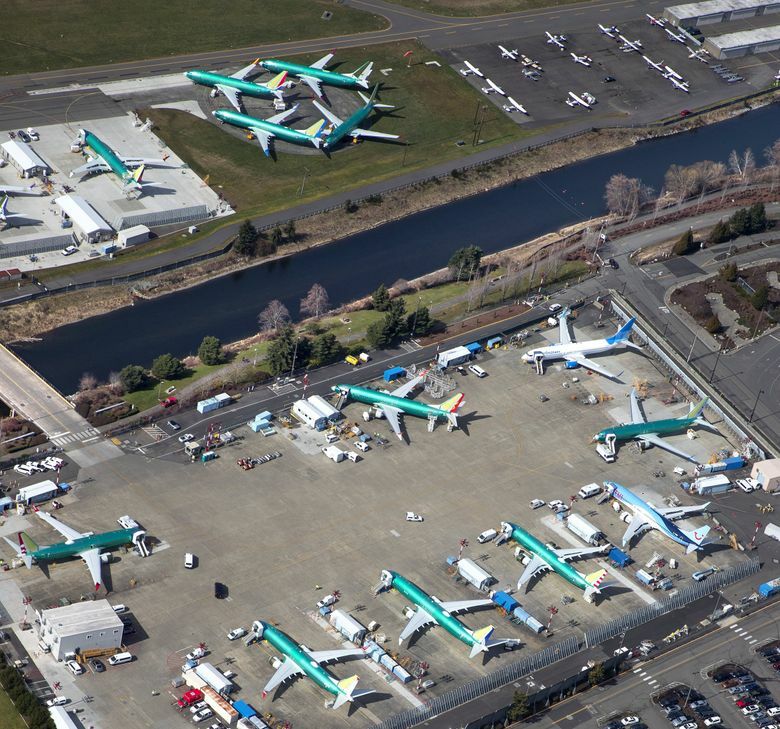 The story described how Boeing sold bare-bones versions of the 737 MAX 8 to both Lion Air and Ethiopian Airlines without dashboard sensors that might have helped avert the two recent crashes. Investigators still don’t know what really caused those two planes to crash, so there’s some speculation and caveats embedded here. But regardless, it’s alarming that a signal designed to warn that your plane may be about to pitch toward the Earth was upsold like a free checked bag. “Boeing charges extra, for example, for a backup fire extinguisher in the cargo hold. Past incidences have shown that a single extinguishing system may not be enough to put out flames that spread rapidly through the plane,” The New York Times reported. You may have to start asking at the gate: Excuse me, is this one of those premium planes, where the pilots get their own oxygen? Or basic economy, where they share the masks — and the firefighting duties — with us plebeians back in coach. Earlier I said this was alarming. But the extent to which corporatization has come to dominate all aspects of American life is not all that surprising anymore. Of course they charge à la carte for critical safety features like it’s a few inches of legroom. As the aviation analyst said, they can, so they do. And why can they? In the case of the two MAX safety features, the Times cryptically said regulators simply “don’t require them.” But Seattle Times aerospace reporter Dominic Gates laid out in ticktock detail the culture of why this might be: That these same government regulators effectively turned over the 737 MAX’s safety-certification process to the company that made the jet. Now that’s alarming. Last year Boeing alone spent $18.1 million for 98 lobbyists to influence Congress and the federal government, according to a database by the Center for Responsive Politics. An incredible 71 of those lobbyists previously worked either for Congress or a regulatory agency. Not sure how the government can fulfill any watchdog role when the company has it on such a tight leash. The way our democracy is morphing like this into a corporatocracy — the pros, cons and, in this case, tragic consequences — is going to be a major flashpoint in the next election. Personally I’m a fan of regulated capitalism. But without the regulated part, one can also see why capitalism’s alternative, socialism, is now clamoring at the gates.